If you’ve visited my blog more than once you’ll know that I’m a big fan of all the great things to do in Liverpool. I have been a proud resident of the city for many years now and love to shout about it. So whilst my blog and musings usually cover budget backpacking, I also like to showcase and provide tips for others visiting Liverpool. Here’s a local’s guide for enjoying the fabulous city of Liverpool, UK. 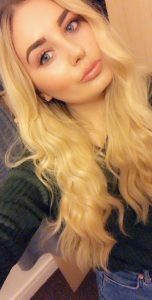 With 7 years of Liverpool nights out, restaurants, coffee and brunches under my belt, I consider myself well versed in all things to do in Liverpool. This puts me in the perfect position to write up a short snappy local’s guide of what to do in Liverpool. In the below locals guide I’ll cover where to eat. From coffee shops to quirky restaurants in Liverpool. Where to drink for all the bevs. Which hotels in Liverpool to check out and top free things to do in Liverpool the city centre! Best restaurants in Liverpool along with restaurants in the city centre are topics I’ve covered extensively. Restaurants are something I’m always keen to shout about someone who considers herself a wannabee foodie. Scroll down for a review of Almost Famous! A few of the city centre restaurants above have been covered in more detail in my locals guide to Liverpool’s best eats. In my locals guide you’ll find the full list of my suggestions for cool and quirky places to eat in Liverpool. Check it out for chilled street food and the best place to grab some pure comfort with good vibes and good tunes. 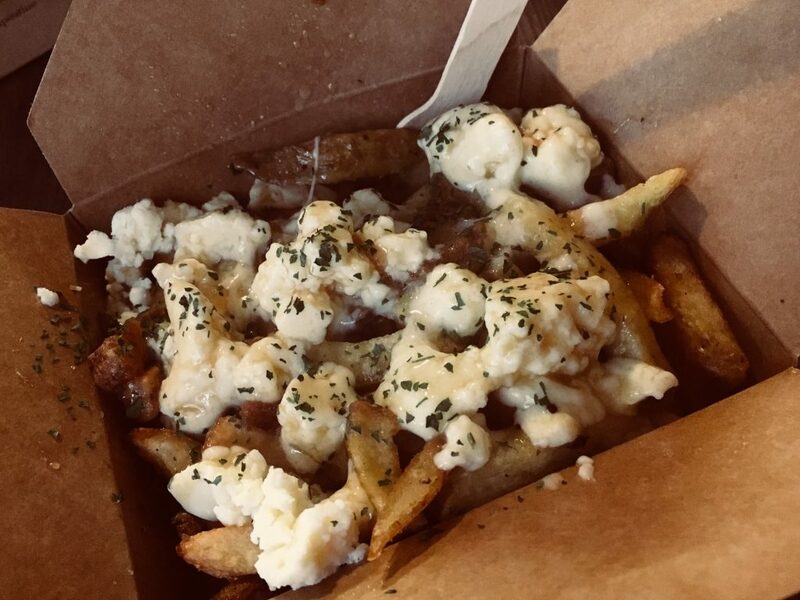 For quick eats and streetfood, you’ll want to check out Caribou Poutine. This little favourite is possibly the best place to grab a quick bite in Liverpool. Inspired by the Canadian classic, this Liverpool independent serves up some of the most iconic cheese chips and gravy in the city centre. It’s a must for cheap quick eats. As part of my dedicated locals exploration of Liverpool I always aim to check out new bars, pubs and restaurants regularly. So with the opportunity from Hotels I decided to revisit one of my all time fave’s in Liverpool. Almost Famous isn’t a new restaurant in Liverpool. And it’s by no means my first time checking out this restaurant, but as a Liverpool favourite it only seems right to include it in this locals guide. If you’re looking for the perfect mix of wild and chill then Almost Famous on a Saturday is where you should be. 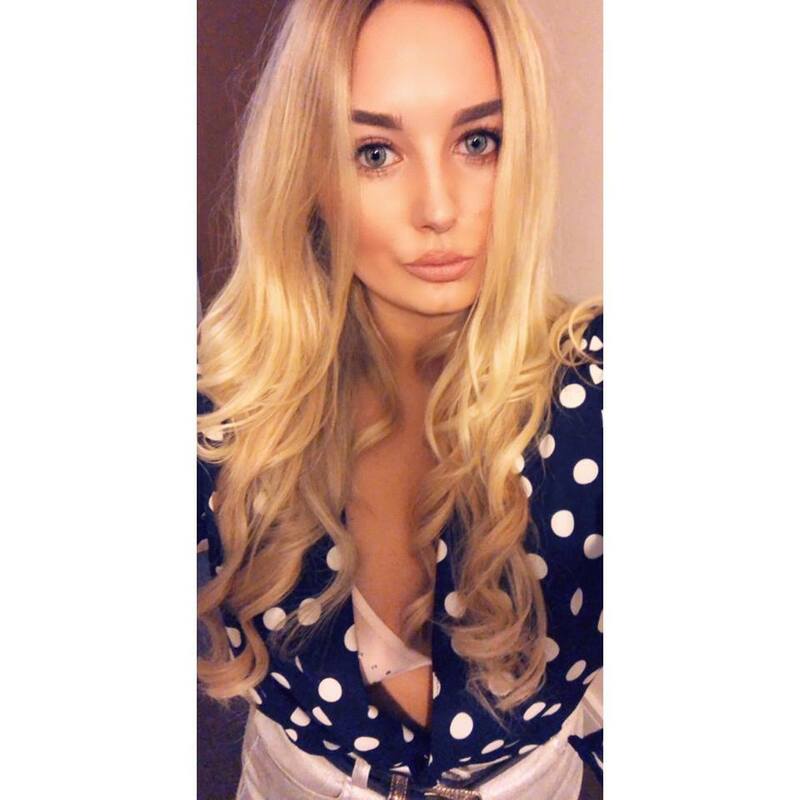 With great food, loud tunes and a busy atmosphere Almost Famous, Liverpool is the ideal spot to start your Saturday fun. Although a burger restaurant there are veggie options at Almost Famous and a great cocktail menu too. Along with the signature burgers and there ridiculous names, there are plenty of fries and sides on offer too. Before you judge me, I should probably admit that up until recently I haven’t been a massive coffee drinker. However, with age and adulthood I’ve found myself enjoying the more caffeinated things in life. I have recently become Liverpool’s number 1 cappuccino drinker. I’m joking obviously – but I do enjoy a weekend coffee in some of Liverpool’s best coffee spots. If you’re looking for a quick coffee in a vibrant setting you’ll probably want to go directly to Bold Street. Here you’ll find endless options from Leaf, Bold Street Coffee and East Avenue Bakehouse. If you are spending a few days in Liverpool on a bit of a budget then Bold Street is definitely somewhere you’ll want to familarise yourself with. All locals know that the best coffee spots in Liverpool can be found there. But in case you’re looking for some other fun activities you’ll want to read this budget guide to Bold Street. It’s 2019, if you don’t like weekend brunchin’ then you ain’t living your best life. That’s what Instagram leads me to believe anyway. If you love an avo bagel, a stack of pancakes or just want an excuse to get drunk at 11:00am on bottomless mamosa’s then you’ll want to figure out where to brunch in Liverpool. All Bar One, Castle Street – this is one of Liverpool’s best brunch spots for Bottomless Brunch at £25 per person Sunday brunching will never sober again! The Burch Club, Duke Street – so despite living above this brunch place I hadn’t actually visited until the other day. The Brunch Club is a nice little setting to grab a coffee and breakfast on a hectic Saturday! 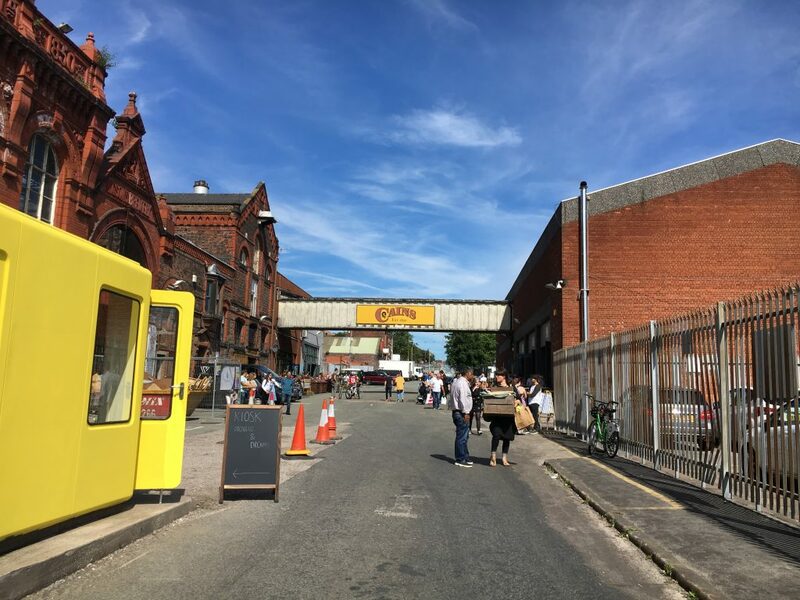 Clockworks, Wolstenholme Square – Almost completely hidden by construction for the last couple of years in the newly developing Wolstenholme Square Clockworks is a locals favourite serving up boss brunch by day and scouse and live music by night. Another favourite topic of mine and something else I certainly haven’t shied away from blogging about. Watering holes. As an avid lover of rooftop bars and beer gardens I’ve already reviewed pretty much all of my number one places to drink in Liverpool. Check out this guide to the best rooftop bars in Liverpool. In summary, check out Roxy Ballroom in the summer. Don’t be affair to venture to Crazy Peds or even further up the road to The Attic. All of the best rooftop spots in the city centre are within walking distance and most of them are even open during the winter where you can drink under a heater to avoid frost bite. No mention of the best bars in Liverpool would be complete without a nod to the world famous Cavern Club. 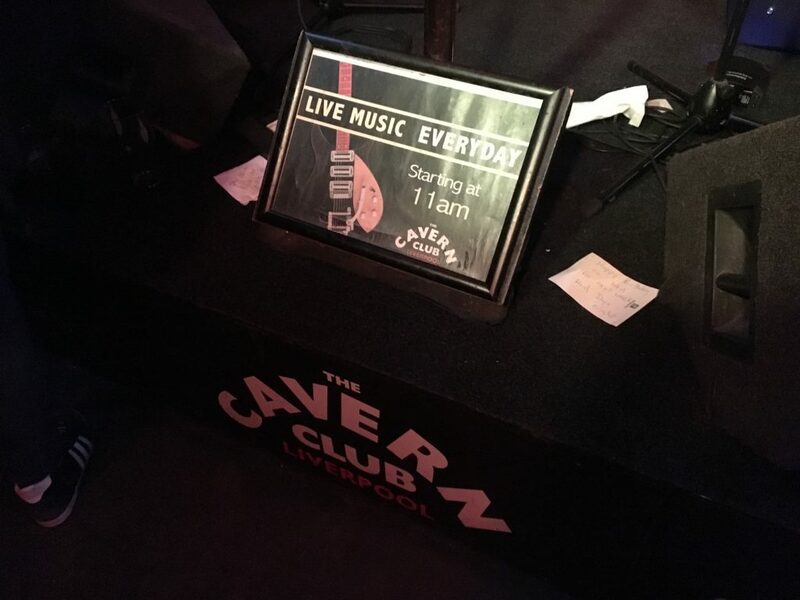 If you hope to spend some time in the city as a tourist you’ll want to check out the Cavern Club on a weekend. There is a small entrance fee and the bar itself is always packed. But, I must say it is totally worth it for the standard of live music and good vibes. This is the part where I admit how truly addicted to cocktails I am. No locals guide to Liverpool would be complete without a list of the best cocktail bars on offer. When it comes to drinking and nights out in Liverpool there is simply something for everyone. So whilst I appreciate cocktail bars may not be everyone’s thing, you’ll want to keep reading because this diverse list of cocktail bars in Liverpool isn’t your traditional list. Aloha – Aloha is, in my opinion, the best cocktail bar in Liverpool. If you like dark settings with chilled vibes and all things that are tiki themed you’ll love Aloha. Salt Dog Slims – It was hard for me to not put Salt Dogs at the number 1 spot. It’s my favourite bar in the city centre and the Zombies are to die for. Salt Dog’s is very chilled and plays only the best indie tunes so although not a stereotypical cocktail bar it’s still one of the best cocktail bars! Berry and Rye – Did someone say speakeasy? A little favourite with locals and almost impossible to find. This secret 1920’s themed hideout can be located behind a black door on Berry Street just before China Town. A must visit. Along with the above 3 there are a wide range of trendy bars in the City Centre. Not including these would be a total injustice. Check out The Merchant, Santa Chuptios, The Peacock, Alma de Cuba, Heebie Jeebies, Brooklyn Mixer and Mojo all basically located on Seel Street. When it comes to Liverpool nightlife and bars in the centre, you’ll want to jot down the words Seel Street. I promise you that you won’t regret following this advice. It’s the main and best place for a night out in the city centre. 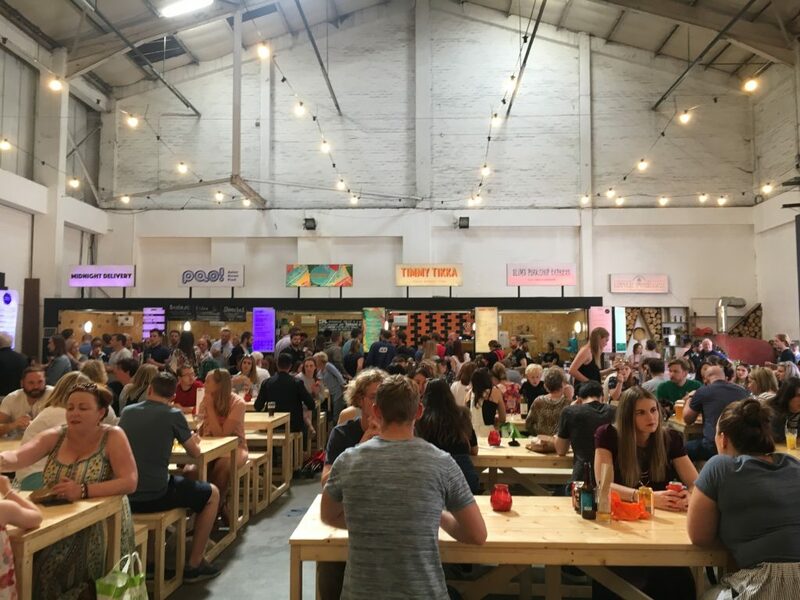 Right in between the best places to eat in Liverpool and the best places to drink, you’ll find The Baltic Market. A superb blend of both casual eating and drinking. The popular Baltic Market is a favourite of most locals in Liverpool. A true locals guide wouldn’t be complete without a mention. Opened by the boys over at Independent Liverpool. The Baltic Market is now firmly cemented as a must do in the list of things to do in Liverpool. This little gem will more than likely go down in the citites history! The Baltic Market is free entry, if you want to go and check it out. All of the food stalls and drinks at the bar are pretty reasonably priced for anyone visiting Liverpool on a budget. That leads me on nicely to free things to do in Liverpool. Of all the great attractions and places to see in Liverpool you’ll be pleased to know a great deal of these are free. With so many free things to do in Liverpool you can spend an entire weekend exploring notable attractions. Visiting museums, enjoying art galleries and just taking in the general atmosphere and sites of Liverpool’s key locations. 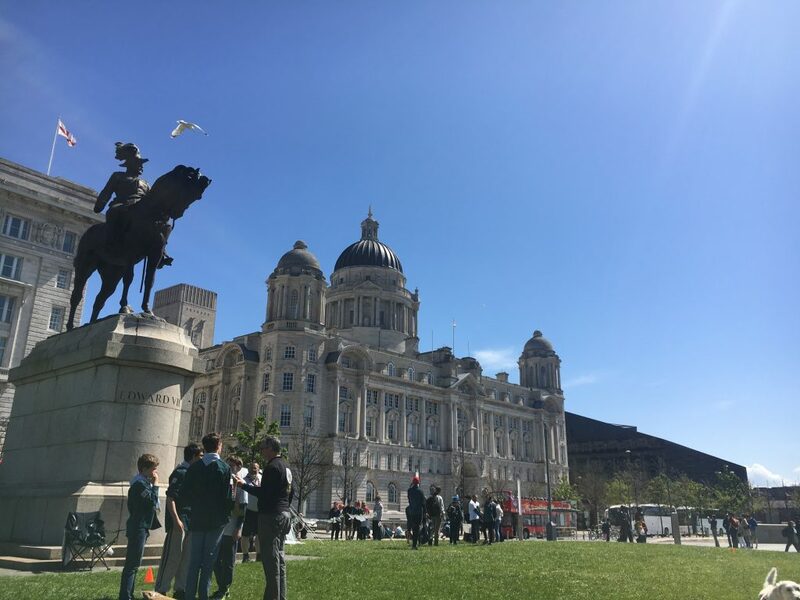 Your first stop on a free city centre tour should be Pier Head where you’ll find The Three Graces. (Not the statue, although you will find a fun statue of The Beatles). 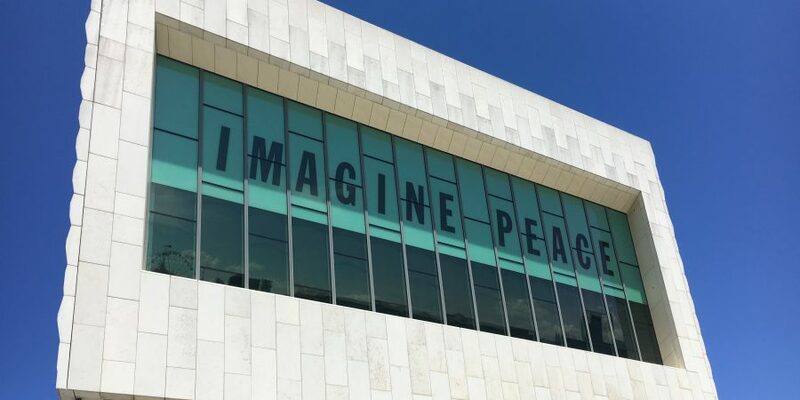 Once you’ve seen the Liver Building and The Cunard Building, why not stop at the Museum of Liverpool? Entrance fee: FREE! Stroll along the Albert Dock, and get some great photographs of the area. You’ll find the Slavery Museum and the Tate in this location too. Both free to enter, however some exhibitions at the Tate do require an entrance fee. 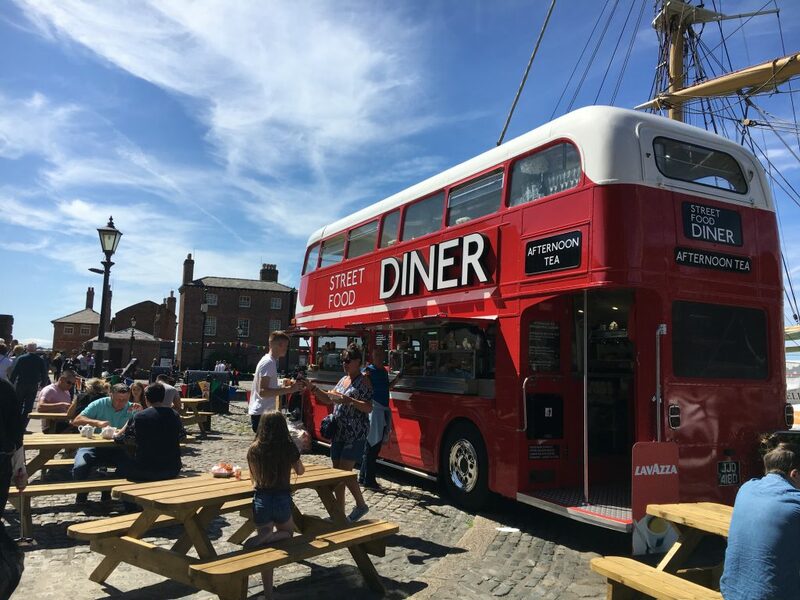 Alongside the great activities around the city centre and the Albert Dock, there are other of free things to do in Liverpool. Enjoy the great outdoor spaces in Liverpool. Whether its Sefton Park, Greenbank Park, Prince’s Park or Chavasse Park. Prince’s Park is also home to the Park Run. Which is another of the free things to do on a weekend. Sign up here. Sefton Park is home to the famous Palm House. There are lots of free events here throughout the year you may want to check out. Crosby Beach and Formy Beach. Being on the coast naturally there are so many beautiful beaches to explore for free. LIMF and Afria Oye. Surprisingly both these festivals are free to attend. Street festivals and carnivals happen annual in the city centre. Check out Brazilica Festival. Liverpool water font. 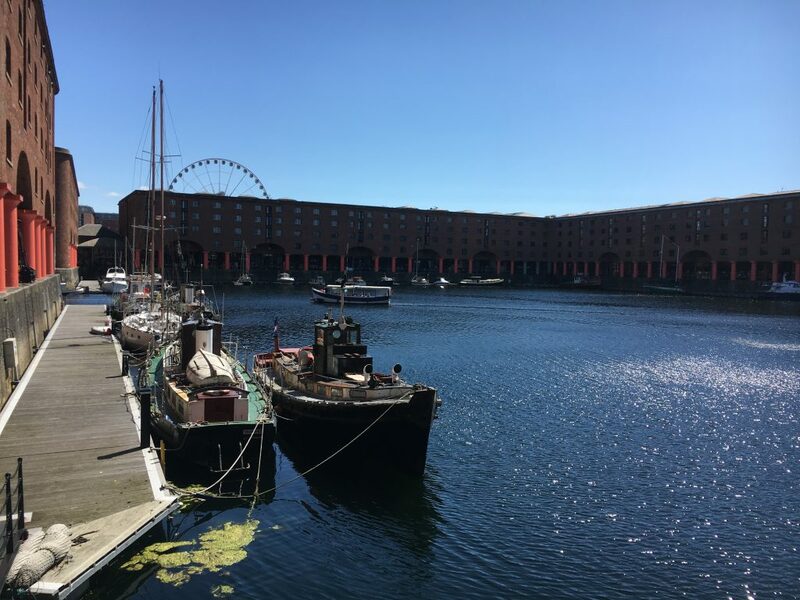 As mentioned, there are a number of museums and attractions on the water front and Albert Dock all for free. There are a lot of places to stay in Liverpool. Ranging from hostels, boutique hotels and right up to luxury apartments with hot tubs. It’s pretty easy to get around the city of Liverpool. There’s a wide range of transport links as you’d expect from a big city. The suburbs are also well connected along with good routes to Manchester, Cheshire and The Wirral. Uber’s are a plenty and a quick and easy mode of transport. The Merseyrail is also convenient especially if you are travelling in form the outskirts. If you do plan on checking out some of the free things to do on the list, you will need to venture out of the city centre. Remember that travelling to Sefton Park of Crosby Beach will require 10-30 minutes travel, depending on your method of travel.